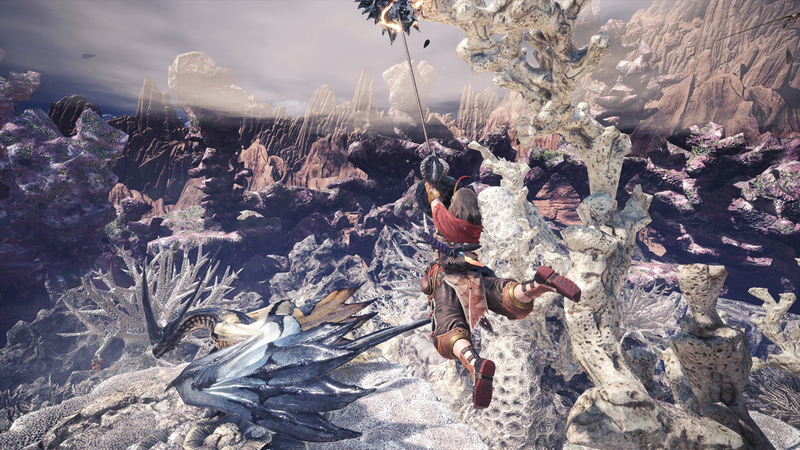 It has felt like an eternity, but Monster Hunter: World has finally made it to PC! 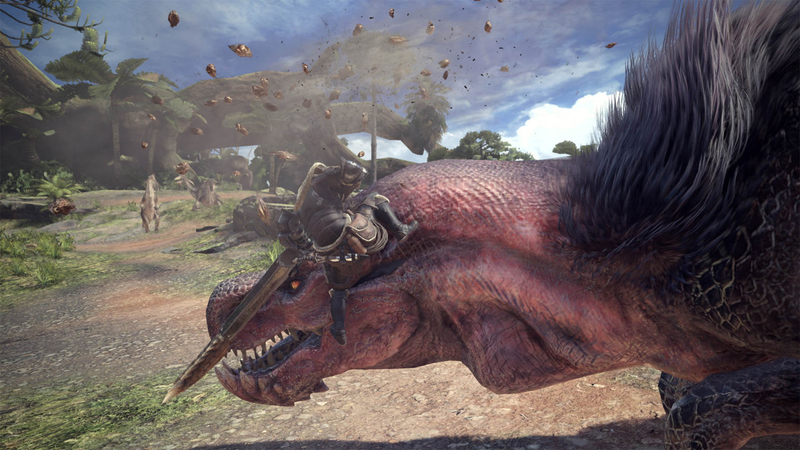 The near-seven month wait led many to hope that this wouldn't be some no-effort port, but that Capcom was taking its time and making it "worth the wait." Tested on: Intel i7-4770k 3.50 GHz, 8GB of RAM, Geforce GTX 970, Windows 10. Framerate measured with NVIDIA GeForce Experience. Installed on an SSD. There are a bevy of options to fine-tune in order to optimize performance on your rig. That being said, I had to turn just about everything down to the mid-low range in order to achieve 60 frames per second (FPS) on my rig -- and even then it would dip into the 50s during heated moments. I know my tech getting a little dated, but I didn't expect such "poor" performance here. I don't mind having to keep everything on the lower end of the scale (I'm used to handheld graphics in Monster Hunter games), but it did surprise me. The most important option to play with in order to increase FPS is Volumetric Fog. It's literally just...fog. I turned it off and instantly saw around a 20 FPS boost. And honestly? I think the game looks better without it on, so it was a win-win. The FPS can be capped at 30 or 60, or left to run wild and uncapped. Mouse support is great all throughout the game's various menus. I'm actually a big fan of the mouse cursor they used -- it's pretty top notch. It's a little triangular arrow when not hovering over anything, and then a pointy hand when it's over something clickable. I love it! It is slower than hitting the A button over and over again, though, so you may want to have one finger over the left mouse button and another over the enter key (I use the one near the numpad) to make some of the menu-heavy elements like picking up bounties quicker. I'm sure the question on many people's mind is: can this be comfortably played with a mouse and keyboard as opposed to a gamepad? Now, I've spent over 100 hours (chump change, I know) on the Xbox playing with the controller, but I think I prefer the mouse and keyboard. Yes, even for melee weapons! Obviously the mouse and keyboard is a huge boon to anyone playing the bow, light bowgun, or heavy bowgun. Having the fidelity of a mouse when aiming is just great, with adjustable sensitivities and quick movements, I actually enjoy playing ranged weapons now! As much as you may think it would be clunky to play something like the Hammer or Greatsword with a mouse and keyboard, I had very little issues. If you are not comfortable in general with the mouse and keyboard setup, then by all means -- use a controller. The game auto-recognized by Xbox One controller mid-game and swapped the displayed inputs instantly. If you've grown up playing games on WASD, I'd say play with the keybinds and give it ago, especially if your mouse has more than three buttons. As for keybinds, the defaults are okay, but there's a lot of tinkering to do. The same goes for the Steam Controller. I rigged mine up to use the gyro when aiming with ranged weapons and it felt awesome! Everything can be rebound to whatever makes you happy -- with one exception. The quick select menu now has two types. The first is the radial menu that the console players will recognize and controller-users will feel comfortable with. Then there's a keyboard-specific one that uses the F keys (F1, F2, etc.) and number keys. I don't know about you, but I am not in the habit of hitting the F keys as a "quick" option. I do wish that the activation keys for the quick items could be rebound, as I can think of many better options to actually make them, well, quicker. Regardless, I've gotten used to at least using F1 to access some of the main items quickly. I suppose you could, outside of the game, rebind F1 to something else, but hopefully, they patch in the ability to remap these buttons. Or, allow us to use the radial menu that controllers use but with the mouse instead. As of now, only WASD register, essentially limiting you to the cardinal directions on the wheel. Steam integration is here as well. Steam groups have replaced in-game squads, allowing for group pictures to show up in the gathering hall. You are able to view the Steam profiles of players online. I did lose connection to Steam once when Steam when down as I was playing, and thankfully it did not just kick me out entirely. This is the same as it works on consoles, for those who have experienced it. Perhaps my favorite benefit of the PC version is how fast everything loads. When I played on Xbox One (standard), I would select a mission, visit the in-game chef and do something quickly around the house, then depart on that mission and do something not-so-quick around the house. It took forever to do anything that required a loading screen. 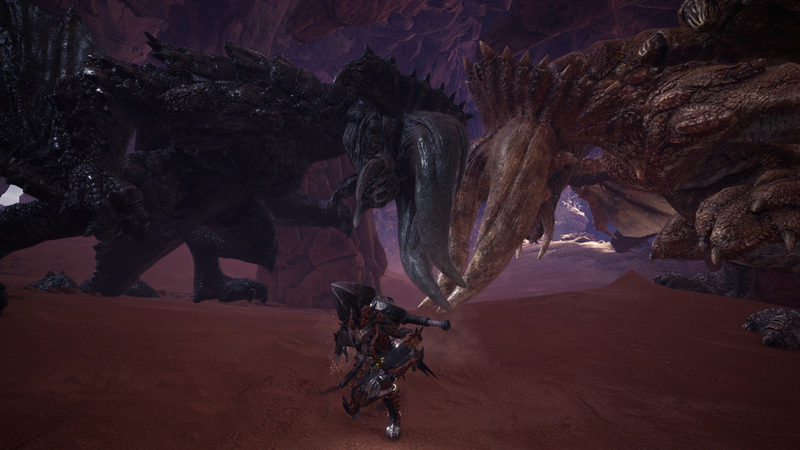 With Monster Hunter: World installed on an SSD (it's about 18 GB), I barely have enough time to sneeze before the mission is ready. It's so amazing, I can never go back to playing on the Xbox. Now that the random crashing has been fixed, I can say with confidence that this version is better than the console version. It is behind on content for now, but it does have the quality of life additions that have been included in the console version since launch, like being able to return straight to the gathering hub after a quest. The customizable visuals, load times, control options, and Steam integration make this a port that was worth waiting for.